Welcome to Creating Smiles, a state-of-the-art practice with two conveniently located offices in Northwest Indiana. Our St. John and Valparaiso family dental practices specialize in crafting the perfect smile for each of our patients. Dr. Scott Kapers has practiced dentistry in Valparaiso and St. John for more than 20 years. He provides preventative dentistry, dentistry for children, cosmetic dentistry, sedation dentistry, and implant dentistry. We welcome patients of all ages, and our offices take special interest in treating children and families, whether you are 2 or 102! Many of our staff members have been with us for decades. We have the latest technology and training to keep your smile beautiful and healthy for years to come. Whether you're visiting our office for a cleaning or a checkup, or have complex dental issues, our St. John and Valparaiso staff will treat you like family. We focus on education and work with every patient to address their dental concerns and needs. We are a guilt free dental office that takes pride in helping anxious patients overcome their fear of the dentist. By using sedation dentistry, we can give the most fearful dental patients the smile of their dreams! If you’re looking for dental offices with comprehensive services, the friendliest staff, convenient hours, and a family atmosphere, call us today at 219-322-9920 for our St. John’s dental office or call 219-462-1970 for our Valparaiso location. You can also fill out our online appointment form. Our office understands that dental fear is a legitimate issue that keeps millions of Americans from taking proper care of their mouths. Reach out to us to find out how Sedation Dentistry can work for you. 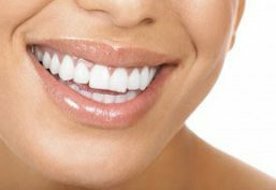 Our Northwest Indiana dental offices can improve your smile through cosmetic and restorative dentistry techniques. 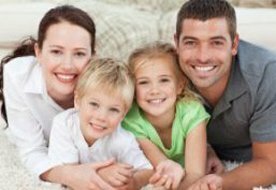 Our comprehensive family dentistry in St. John and Valparaiso dental offices take pride in treating patients of all ages. Weâ€™ve treated patients as young as 2 and as old as 102. When you visit our offices, our goal is to restore your mouth back to its original state by using the latest technology and minimally invasive treatments. Restorative dentistry allows us to diagnose your dental needs and then treat those issues to help you avoid bigger problems in the future. 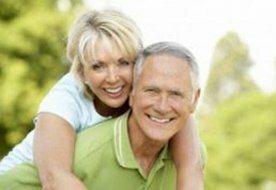 Our St. John and Valparaiso dental offices provide comprehensive treatments to patients of all ages and dental conditions. You can view our services here. All the girls in your office are great!!! Scott, you always make me feel important and comfortable. I never mind coming to the Dentist!!! I was very apprehensive about going to the dentist but Dr. Kapers and his staff made me feel at ease. Having tooth pain I knew I was in need of fillings and with high anxiety, it was recommended that I try sedation for the work. The procedure went well and I don't remember a thing about it. I will definitely return for all my dental needs. Your staff is wonderful and they seem to work in a place where they are treated well. I have absolutely zero complaints. I referred my ex-wife and our son to you and I am pretty sure they both are of the same opinion.